The most common cause of feeling shaky after meal is a fluctuation in your blood sugar levels. However, it may not always be the case. There're other causes as well. When you eat foods high in carbs, you may experience a spike in blood sugar. This may cause your body to release too much insulin to try and bring down the blood sugar and cause a steep drop in blood sugar after eating. This results in hypoglycemia that can last up until the next meal. Reactive hypoglycemia is most common in people who have pre-diabetes or issue with their pancreas. It can also occur in people who suffer from liver disease that affects the production of glucagon (a natural sugar produced by the body). If you believe you may be having an allergic reaction to a food and have never experienced the symptom before, get to an emergency room for treatment right away. Keep in mind that gluten contamination can occur in other foods you are eating that do not contain gluten. If you eat a meal too high in carbohydrates you may experience a blood sugar spike. Protein can help slow the burn of carbohydrates so just eat a serving of protein with any carbohydrates that you eat. If you feel jittery after a high carb meal, follow it with protein as soon as possible. If you eat a stack of pancakes and syrup, try eating some breakfast meat with it or even a spoonful of peanut butter. If you are unsure of the offending food, keep a journal of everything you eat and how you feel after you eat. Eliminate any offending foods and add them back into your diet one at a time to see which one is bothering you. If you think you have a food allergy, contact your doctor for further testing and treatment. 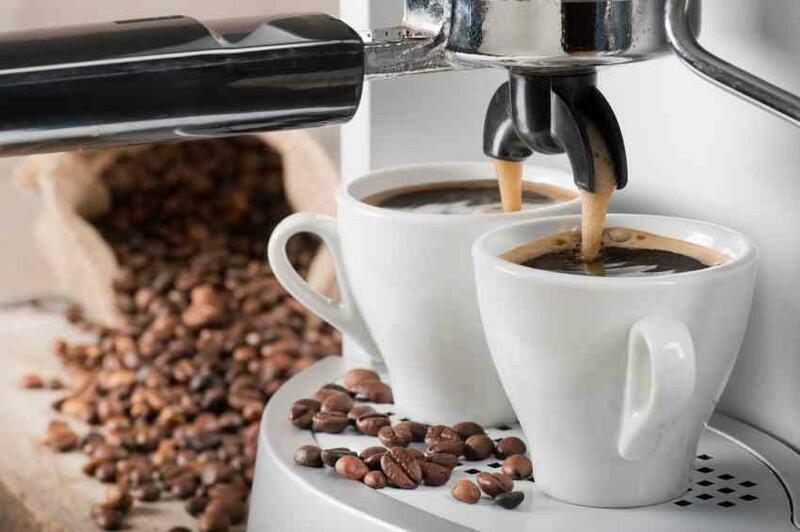 If you are sensitive to caffeine, try to avoid foods that contain caffeine. If your doctor orders you to avoid caffeine, make sure you check labels carefully. Also, try to eat a full meal before drinking any caffeinated drinks to slow the body's absorption. For the most part, feeling shaky after eating is nothing to worry about. If you have an issue with reactive hypoglycemia or a severe food allergy, you will need to see a doctor. Reactive hypoglycemia may be a sign that you are having blood sugar issues that may lead to diabetes. It may also signal disease with your pancreas or your liver. This will need medical attention and treatment as soon as possible. A severe food allergy can be life threatening. If you go into anaphylactic shock, you may lose your ability to breathe if your airways swell shut. Watch for signs of food allergy along with shakiness including facial swelling, hives, low-grade fever, vomiting, and swelling of the throat.